As temperatures today climbed above 50 °F (10 °C), I went to Colonial Lake to see if the birds responded to the sudden warmth after a long winter. At first I only saw seagulls and Mallard ducks, then just as I got back into the car to go home, two Bald Eagles appeared! They flew around the lake. 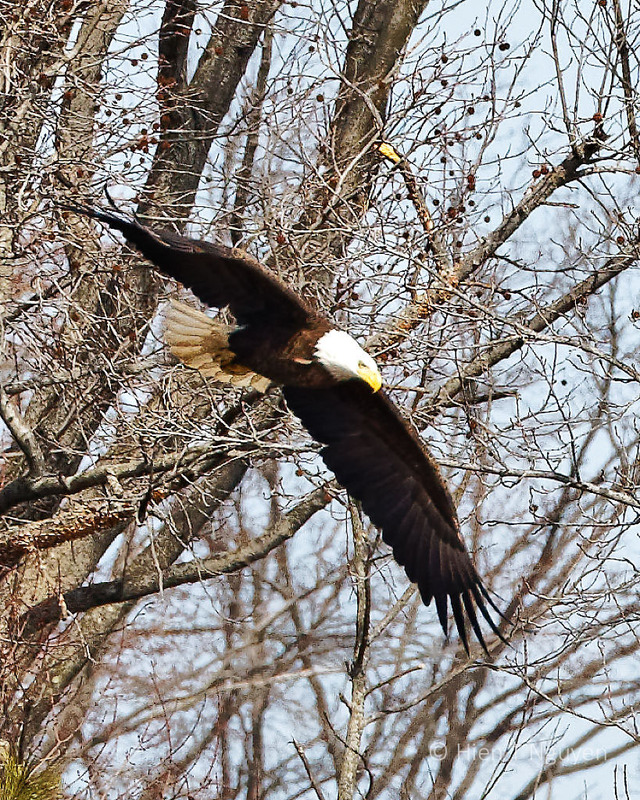 Bald Eagle flying at Colonial Lake. Then they went to perch on tree branches and looked down on walkers, joggers, and photographers. Apparently, they had caught and eaten some fish and were just happy to sit up high and enjoy the scenery. Bald Eagle at Colonial Lake. Such a delightful surprise to catch these great images! It always gives me a good feeling to be able to photograph them! Wow!!! I’m so glad you didn’t miss them. Thank you Amy! Glad you like these shots. Thanks Donna! At this lake you can get closer to the eagles than at Blackwater. Wonderful opportunity to be at the lake! It was a nice surprise for sure! 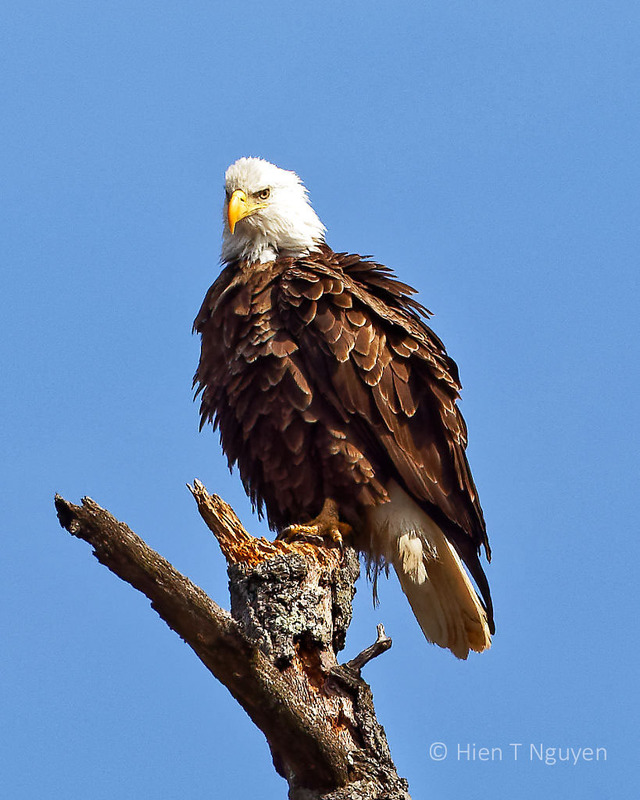 Wow, your bald eagle photographs are incredible! I can only imagine what a treat it was to get to observe the pair. 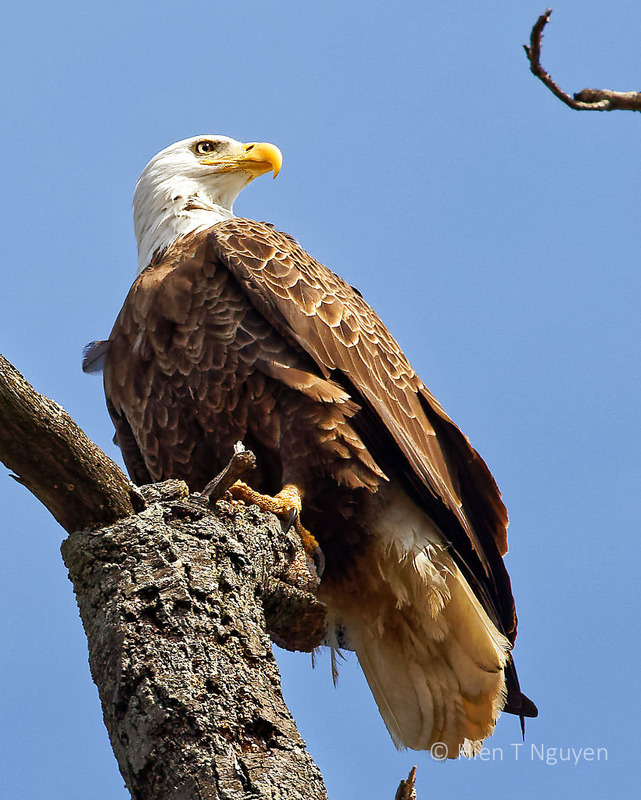 Sunday was a beautiful spring-like day in Chattanooga, and we watched a bald eagle flying about 20 feet above us as we were walking the very busy pedestrian bridge that spans the Tennessee River. 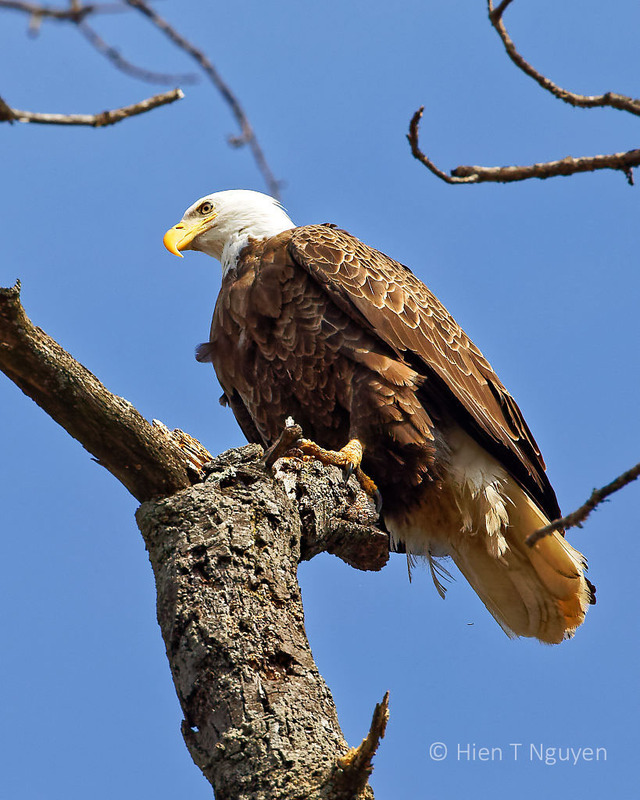 It was a surprising sight, and as with every bald eagle sighting, quite exhilarating! I was half way into my car when the Bad Eagle flew overhead. I followed it for a short distance with the car and saw it perched high on a tree. Soon another one joined it. Like they say, the rest is history. It must be a real treat to see eagles!! Yes indeed, and they were not too far away. Such majestic birds. It must be wonderful to see them in-person! They were a nice surprise. I was not expecting to see any! Great weather and a regal bird! Great shots. So glad you were there to catch the show! Thank you! I did not expect to see a Band Eagle, but two of them showed up!